"...a compelling, shocking and beautifully-written tour de force... "
Freelance photographer and wildcat smuggler Dan Abatangelo blows into Vegas to hit the tables and taste the nightlife. In his path waits Shel Beaudry, a knockout redhead with a smile that says, Gentlemen, start your engines. The attraction is instant—and soon the two are living the gypsy life on the West Coast, where Dan captains a distribution ring for premium Thai marijuana. His credo: "No guns, no gangsters. It's only money." But the trade is changing. Eager to get out, Dan plans one last run, judges poorly, and is betrayed by an underling and caught by the DEA. To secure light time for Shel and his crew, Dan takes the fall and pleads to ten years. Now, having served the full term, he emerges from prison with a hardened will but an unchanged heart. Though probation guidelines forbid any contact with Shel, a convicted felon, he sets his focus on one thing: finding her. Shel's life has taken a different turn since her release from prison. She has met frank Maass, a recovering addict whose son died a merciless death. Driven by pity, Shel dedicates herself to nursing Frank back from grief and saving him from madness. But his weaknesses push him into the grip of a homegrown crime syndicate in command of the local methamphetamine trade. Mexicans are stealing the syndicate's territory, setting in motion a brutal chain of events that engulf Frank, Shel, and Dan in a race-fueled drug war from which none will escape unscathed. 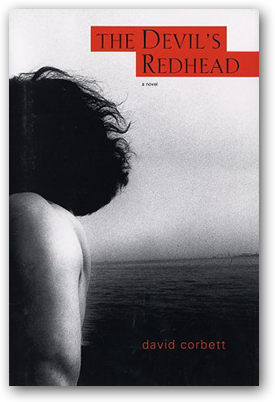 A brilliant crime novel of betrayal and retribution, passion and redemption, The Devil's Redhead heralds the arrival of a powerful new voice in fiction. "Corbett thunders out of the gate with this gritty, moving debut . . . . His prose dazzles, cutting across the page with passionate force, articulating themes of devotion, lost hope and spiritual renewal in an unforgiving world." 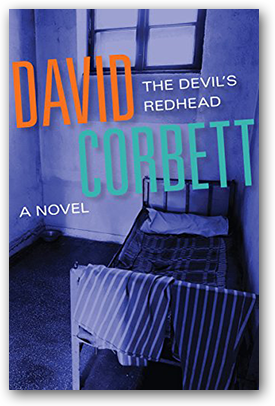 "The plot of David Corbett's first novel, The Devil's Redhead, might have come straight out of post-war noir fiction . . . . But the plot doesn't begin to tell this story, which comes from some deep well of suffering that finds its graphic expression in the noir vernacular of violence. People really get hurt in this book—fists, guns, hammers and bombs are among the weapons of choice—and Corbett writes with an intensity of feeling that doesn't gloss over their pain. In fact, the characters' pain, along with their capacity for bearing it, learning from it and offering it up for their own redemption and for the salvation of others, seems to be the main point here. Without compromising the stark realism of his bruising style, Corbett has written an astonishingly tender love story." "The Devil's Redhead is a compelling, shocking and beautifully-written tour de force that super-glues you to your seat from the opening sentence . . . . A dazzling debut, as violent, gritty and dirty as noir crime writing gets but with a moving love story at its centre." "The Devil's Redhead is . . . an exceptionally assured first novel. . . . . Corbett handles dialogue, narrative and characterisation like an experienced novelist and is a name to watch." "Corbett's Vegas—and California-set noir thriller is ... a tense and hypnotic tale of amour fou split asunder amid the murky world of drug trafficking. Full of action, dark and brutal, this is a splendid evocation of West Coast crime and split loyalties that resonates long after the final page is turned, and it reveals a major new voice." "The Devil's Redhead is a hard-boiled, gritty mystery set against the background of drug wars and organized crime. But it also is a story of redemption, of finding inner strength, and, yes, ultimately, of love. Author David Corbett keeps a perfect balance in his debut novel, never allowing the love story to overwhelm a dark tale that centers on the violent world of drug smugglers. That Corbett makes us care about ex-cons—and question the degrees of culpability—without preaching or stooping to gimmicks or cliches adds to the complexity of his strongly plotted story. Corbett's fluid pace is brisk and heart-wrenching at the same time. There's an echo of noir master Jim Thompson's attention to the anti-hero as hero that worked so well in The Getaway and The Grifters. That approach works here, too, thanks to Corbett's elegant writing and his focus on characters and Elmore Leonardesque dialogue. Corbett . . . delivers a highly charged, atmospheric story about flawed characters finding forgiveness in an unforgiving world."